Three Palestinians suffered injuries when Israeli policemen violently attacked “the march of anger” that was held on Saturday evening in Ar’ara town, northwest of the Green Line, in protest at the recent demolition of Palestinian homes. According to Arab 48 website, more than 10,000 Palestinians participated in the march, which was called for by the High Follow-up Committee for Arab citizens of Israel and Arab parties and groups. The march was staged to protest the racist demolition policy pursued by Israel against the Palestinians in general and the recent demolition of homes in Qalansuwa town in the Triangle and Umm Hiran village in the Negev in particular. Photojournalist George Debs reportedly suffered an injury in his abdomen from a sponge-tipped bullet and two protestors were badly hurt during the police assault on the march. During an oratorical festival held on the sidelines of the march, different speakers denounced what they described as Israel’s demolition crimes in Arab areas. “This massive protest confirms our adherence to our right to live with dignity on our land. We have come here to give a thunderous cry against racism and against the killing practiced against us in cold blood,” Arab Knesset member Ayman Odeh stated in his speech. “Living with dignity is our demand and right. 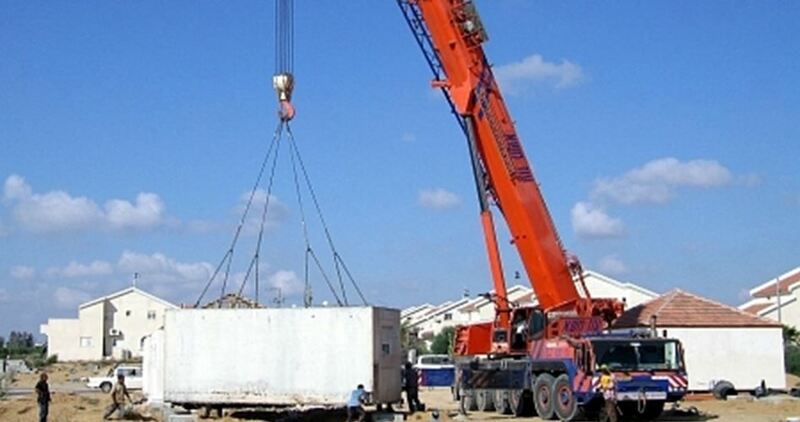 This cry of ours is a cry of defiance against the demolition of our homes,” he added. 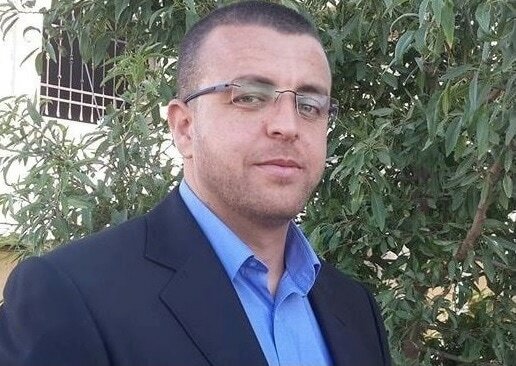 The Shin Bet, Israel’s internal intelligence agency, on Thursday extended the detention of journalist Mohamed al-Qiq, 33, for four days, without stating if they would file an indictment against him. Journalist Fayha Shalash, Qiq’s wife, said that the Israeli security authorities extended her husband’s detention until next Monday, adding that he started an open-ended hunger strike immediately after his arrest. 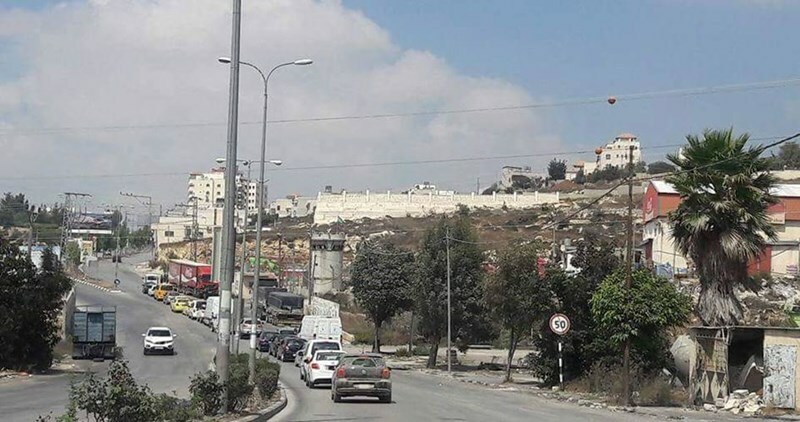 Israeli soldiers last Sunday rearrested Qiq, who works as a reporter for the Saudi satellite channel al-Majd, at Beit El checkpoint north of Ramallah city. The Shin Bet accuses him of incitement against Israel. Last May 2016, the Israeli occupation authorities decided to release the journalist after he staged a protracted hunger strike in protest at his detention administratively, with no indictment or trial. The Palestinian Journalist Bloc has strongly denounced Israel’s recent rearrest of journalist Mohamed al-Qiq, warning that it would not remain silent on his continued detention with no guilt. The bloc affirmed that it would stand by Qiq in his ordeal and all journalists in Israeli prisons, calling on international and Arab human rights groups to wage a legal battle against the Israeli occupation authority to pressure it to release journalists. Israeli soldiers arrested anew Mohamed al-Qiq a few days ago at Beit El checkpoint near Ramallah city in the West Bank. The family of the detained Palestinian journalist Mohammed al-Qiq, 35, said on Tuesday that he suspended his open hunger strike waiting for the court hearing the Israeli occupation authorities (IOA) will hold for him next Thursday. The family added that the IOA is holding journalist al-Qiq in Ofer prison to the west of Ramallah city. Journalist Fayha Shalash, al-Qiq's wife, said that her husband told the Israeli investigators that he will return to his hunger strike if he is held in administrative detention. Shalash told al-Quds Press news agency that the family's lawyer, Ashraf Abu Sneineh, informed them that al-Qiq will appear in Ofer military court this Thursday. Shalash called on the human rights organizations and the Palestinian Journalists Syndicate to figure out what is happening with her husband, pointing out that the popular events supporting her husband's case are still ongoing in a number of West Bank cities to condemn his re-detention. The Palestinian Journalists Forum strongly condemned arresting al-Qiq, reporter of al-Majd TV channel, by the Israeli occupation forces (IOF). The Forum said in a statement on Tuesday that it is following with concern the vicious attacks conducted by the IOF against Palestinian journalists in the West Bank which led to the detention of Sanabel radio's crew and two other journalists for alleged incitement against the Israeli occupation. It also condemned arresting al-Qiq on Sunday. The statement added that the Palestinian Journalists Forum considers the Israeli crimes against the Palestinian journalists a serious violation of press freedom and the rights of journalists, and is surprised by the silence with which human rights institutions meet these violations. The Forum called on the international institutions to stand by the journalists to ensure the freedom of journalism, stressing that freedom is indivisible and requires cooperation to be protected. The IOF re-arrested al-Qiq on Sunday 15th January 2017 after he was held along with relatives of Palestinian martyrs following their participation in a protest in Bethlehem calling for returning the bodies of Palestinian martyrs. The Israeli Occupation Forces (IOF) re-arrested Sunday evening the journalist Mohamed al-Qeeq few months after his release following his three-month hunger strike. Al-Qeeq’s arrest came shortly after his participation at a protest sit-in demanding the return of slain Palestinians’ bodies. 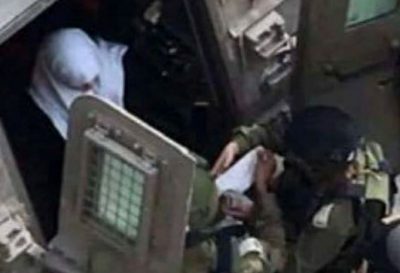 Al-Qeeq’s wife told the PIC reporter that her husband was arrested at Beit El checkpoint, north of Ramallah. "The Israeli forces detained all those who participated in the sit-in for nearly an hour before releasing them except Mohamed," she clarified. 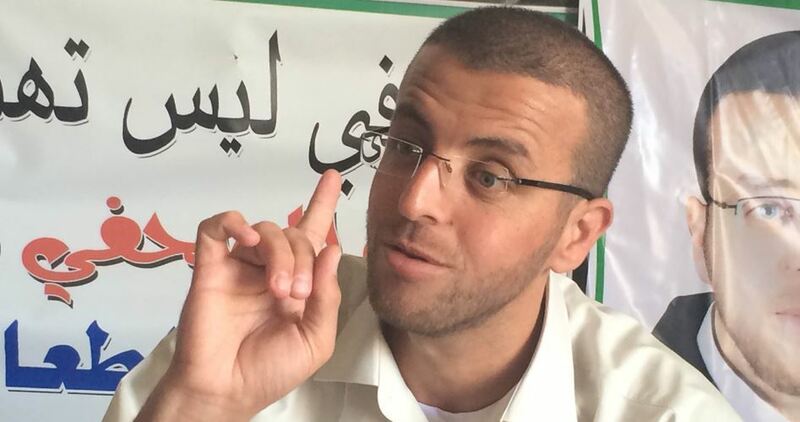 Al-Qeeq was taken handcuffed in an Israeli army jeep to unknown detention center. Al-Qeeq, who worked for a Saudi media outlet, was released from Israeli jails in May 2015 after he ended 94 days of hunger strike. The 33-year old journalist was arrested on November 21, 2015. Four days later, al-Qeeq conducted the hunger strike in protest against the conditions of his detention. He wanted the Israeli military to either charge or release him from the military detention center where he was being held. The Israeli occupation forces (IOF) afternoon Sunday quelled a protest calling for releasing the bodies of slain Palestinian youths. The IOF soldiers attacked Palestinian marchers as they took to Bethlehem streets to push for the release of the bodies of Palestinian civilians withheld by the occupation authorities. The IOF soldiers targeted the protesters with heavy spates of rubber bullets and teargas canisters. Journalist Mohamed al-Qeiq said in a Facebook statement that the IOF detained him, along the families of the slain Palestinians, in a military jeep right as they joined the march. A horde of Jewish settlers on Saturday evening threw stones at the house of Palestinian human rights activist Imad Abu Shamsiya, who recorded a video showing an Israeli soldier killing in cold blood a wounded young man lying on the ground in al-Khalil last year. 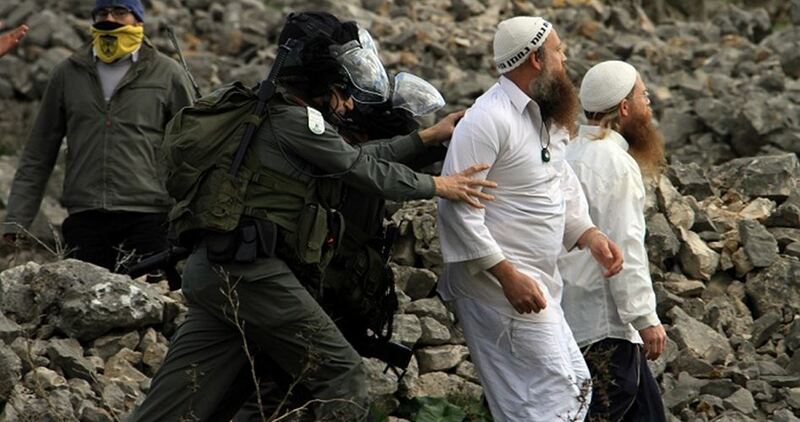 Eyewitnesses reported that the settlers chanted racist slurs and death threats against Abu Shamsiya as they were hurling stones at the house, adding that they tried to break into the house and assault the residents. The family of Abu Shamsiya lives in a house near the illegal settlement of Ramat Yishai and the military checkpoint called Gilbert in al-Khalil, where 21-year-old Abdul-Fattah al-Sharif was killed. In the incident on March 24, 2016, Sharif and another 21-year-old Palestinian, Ramzi al-Qasrawi, allegedly stabbed and wounded an Israeli soldier before troops opened fire on them, wounding Sharif and killing Qasrawi. Footage of the scene several minutes later, filmed by Abu Shamsiya and released by the Israeli human rights group B'Tselem, shows Sharif was lying immovable on the ground but alive. A young soldier, identified as Elor Azaria, is then seen cocking his rifle and fatally shooting Sharif in the head at point-blank range. A Tel Aviv court last Wednesday convicted Azaria of manslaughter. Its verdict angered Israeli premier Benjamin Netanyahu and his cabinet members, who called for granting the soldier an immediate pardon and releasing him. 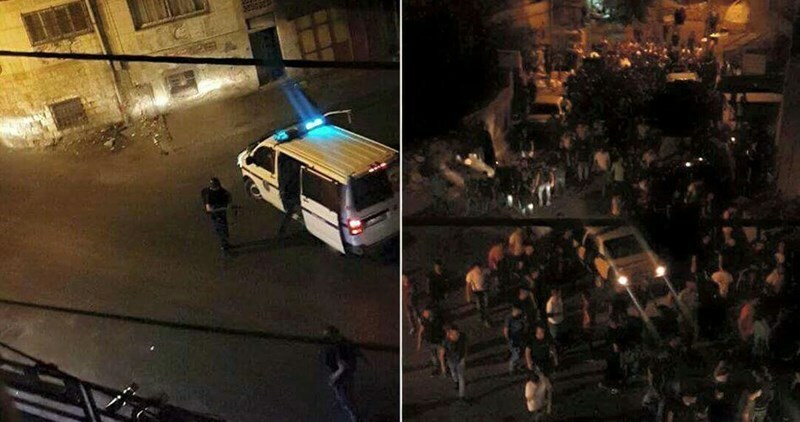 Violent clashes broke out east of Jenin when Israeli Occupation Forces stormed overnight the city and closed its main street. 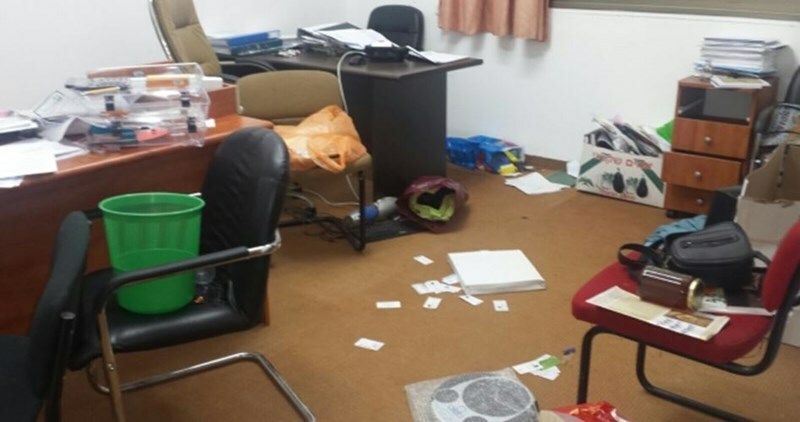 The Israeli raid came shortly after an alleged hit-and-run attack near Jalama military checkpoint near Jenin. Local youths set fire to tires and confronted Israeli forces who erected a number of military checkpoints throughout the city. A journalist was brutally attacked and beaten during the clashes. Meanwhile, (IOF) soldiers arrested last night a Palestinian child in Azzun town, east of Qalqilia. Local youths identified the detained child as Samer Radwan, 15, from Qalqilia.